The 2012 Toyota Camry is one of Toyota’s first vehicles to offer the Toyota Entune system technology that allows owners to download a collection of popular modile apps and data services with the in-dash touch screen or by using voice commands. 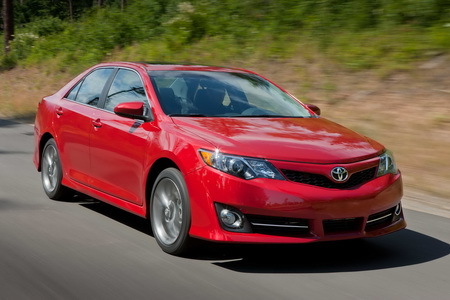 The Toyota Camry has been America’s best selling car for 9 years in a row. Toyota claims the 2012 Camry is the most technologically advanced Camry ever, and the Toyota Entune system is definitely a big part of that. The ‘It’s Ready. Are You?’ campaign focuses on the Toyota Camry’s performance, safety, and innovation, and will air during several top rated programs and during the 2012 Super Bowl.